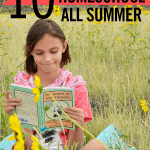 I read this article and wanted to share it with you: 10 Reasons Why I Homeschool All Summer Long https://blog.sonlight.com/homeschool-all-summer-long.html. We currently live the desert where Southern Texas meets Northern Mexico; it’s dry, dusty, and often above 110 degrees. Since living in the pool during the day would result in sunburn, and it’s too hot to do much else except sit around under the air conditioner during the hottest hours of the day, during the summer I have a captive audience for reading a great book or doing a few pages of math. During the cooler hours in the morning and evening, my children can still do all the things children love in summer, but during the dangerously hot afternoon hours, school is a great way to keep them from getting bored. You know that feeling you get when the end of the year is coming up and you miscalculated how many days it would take to get your math book done? Or, you just seemed to get more and more behind in your Read-Alouds as the year progressed? Here's a solution. Join with those who believe that not every book needs to be finished, and let it go. Or try to finish up the book at the beginning of the next year before delving into the new book selections. Also, you can do a little tiny bit each day, over the summer, and catch up at a more relaxed pace, and then start the next book so you don’t have to worry about the same thing happening next year. Many textbook authors know this, and will purposely schedule review from the previous year at the beginning of their textbooks. They know children need to relearn and review past skills before progressing. However, if your child has been practicing reading, writing, and math skills all summer, they haven’t had a chance to lose those skills, and are ready to delve into the new material without review. You just sidestepped summer slide! There's no need to let strangers run the show when it comes to my homeschool schedule. 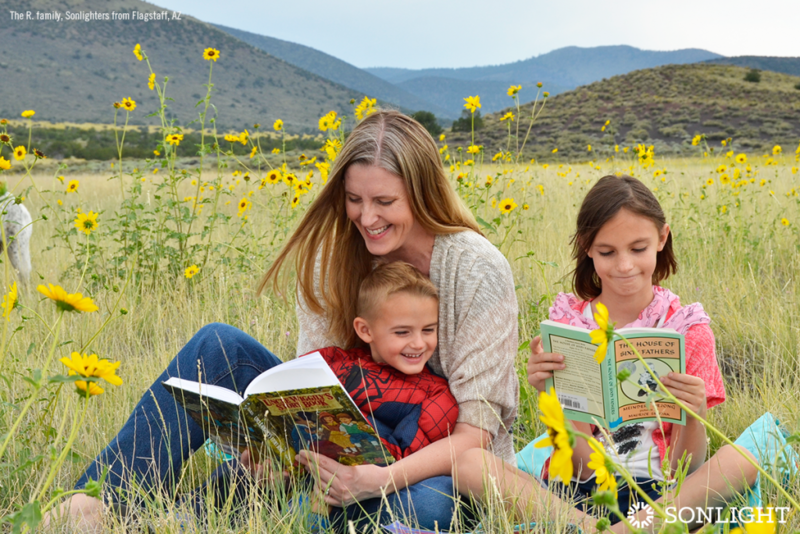 You, too, can homeschool all summer long like I do. Having a new baby halfway through the school year? No problem. You’ve already made up days during the summer. Grandma suddenly gets sick and you need to spend time helping her get better? That’s OK, you’ve got plenty of days already banked. Your child breaks a leg trying to do stunts on her bicycle? You can afford to take off a few days until the worst of the pain is over, and even have extra time for the extra doctor’s appointments she’ll be needing. No need to stress. And, most importantly, have you ever experienced that day in spring where you absolutely cannot keep your children's focus,because the weather is so beautiful that you all want to be outside? That's the perfect time to call a sun day (as opposed to a snow day) and head outdoors for fun. School will wait. What about at Christmas time, when you need to decorate, make cookies, buy gifts, and do a million other small things, and school takes a backseat? Summer school days can easily fill in the gaps for the days you miss. Even a break as short as a week can mean bad behaviors and complaining increase. A long, 3-month break often means a lot of resistance and behavior issues until my children settle back into their routine. However, because we homeschool all summer long, I don't lose all of the hard work I put in during the year. Starting back goes more smoothly than it would otherwise. If doing a full day's worth of work sounds like more than you want to do during the summer, then choose what you would like to do. 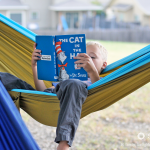 For example, many parents choose half days for summer schooling, whereas other parents feel half a math worksheet, a bit of journaling, and some reading is more than sufficient. 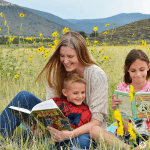 Sonlight offers great Summer Readers that are even more fun than their usual readers to fill those long hours. Many of these have become family favorites, such as The Terrible Two, Savvy, and Absolutely Truly. Sonlight recently released American History Lap Book kits perfect for my son who just finished History/Bible/Literature D. We can assemble the Lap Book over the summer, and get a great review of what we learned without doing a lot of formal studying. Sonlight has Lap Books available for 2 different levels, as well as a Hands-on Kit to go along with the content learned in HBL A. You can also choose a few different electives, such as art, typing, or computer coding to do over the summer. That's not to mention all those great activities and videos you found online but haven’t been able to get to yet. By using summer to add in all those activities, you don’t have to feel guilty about not getting them done during the year when you meant to. I recently discovered that Sonlight has now packaged all the books used exclusively in the 5-day programs into neat little bundles so you don’t have to try to figure out which books aren’t included in the 4-day programs. It’s now convenient and easy to order the missing books, and summer is a great time to add them in. They also have the extra readers bundled up, which make for great summer reading. It’s a chance to finish all those books that were too much to squeeze into your year, and all the sequels you would love to read but haven’t had time for. 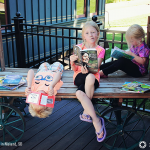 Our family likes to homeschool all summer long, but a lot of my friends and family prefer to do less because they have a lot of scheduled activities such as Vacation Bible School, summer camps, and summer classes. We work our schedules around those things, but I find if my children have nothing at all to do during the day, they tend to make more mischief and be slightly more destructive than they would otherwise. Children thrive on routine, so a modified routine during the summer helps to corral much of the chaos. Doing nothing all summer long is great, and it works well for many families. Some of my friends can’t imagine giving up their long summers. 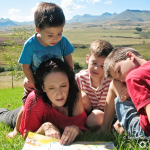 However, other families like mine find that adding some school to their summer takes a lot of pressure off throughout the rest of the year and helps them to do more without a lot more effort. 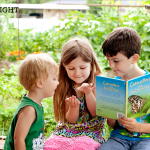 To find out more about Sonlight's book-based homeschool programs, order a complimentary copy of your catalog today. Remember, you can start and finish your school year anytime you want.